FROM THE MOMENT Kerry James Marshall’s 35-year survey exhibition opened at MCA Chicago this spring, the artist has been praised with honors, his work has been lauded in the media, and his message has resonated. His years-long mantra, that in order to push the Western canon of art history in a more diverse and representational direction images of black people and the black experience should hang in museums alongside the so-called “masters,” dovetailed with a promising moment for a select group of African American modern and contemporary artists. 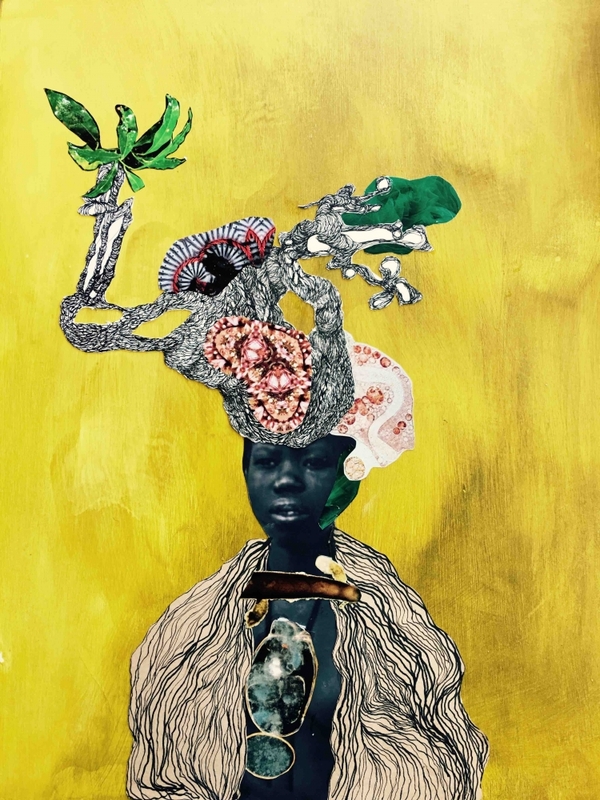 Throughout 2016, major museums around the country announced acquisitions of works by black artists, bringing into their collections works by Njideka Akunyili Crosby, Sam Gilliam, Wadsworth Jerrell, Alma Thomas, Mickalene Thomas, Kara Walker, and Marshall, among many others. As the year unfolded, impressive awards, fellowships, and residencies were also bestowed upon many artists. African American curators pursued new opportunities and African American artists joined major galleries. A monumental Smithsonian museum opened on the National Mall dedicated to African American history and culture with a commitment to presenting visual art. Meanwhile, police violence, along with race baiting and culture clashes that sprouted from the fractious election season sewed both consternation and inspiration in artists. A review of the past year in black art makes clear that the challenges are as real as the possibilities. AWARD/HONOR | Artist Kenyatta Hinkle is among the recipients of the Rema Hort Mann Foundation’s 2016 Emerging Artist Grant in Los Angeles.